Healthy digestion allows your body to absorb the nutrients it needs to function effectively. The gastrointestinal tract is heavily involved in the digestive process‚ due to the release of certain enzymes. Traditional Chinese Medicine has used this spice for centuries in order to alleviate symptoms like nausea‚ diarrhea‚ flatulence‚ bloating or stomach upset; it is also thought to lessen the effects of motion sickness. Some people drink ginger tea‚ but a dietary supplement may be more convenient. 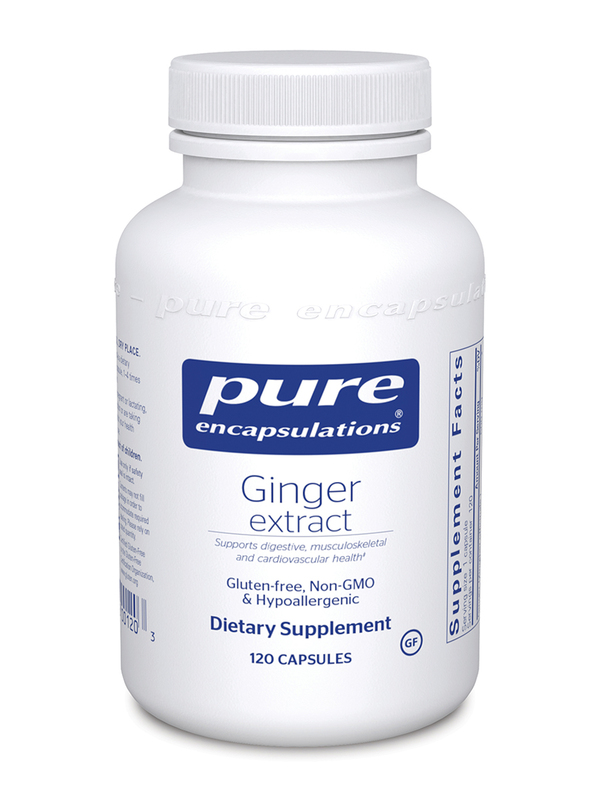 Ginger Extract by Pure Encapsulations provides ginger that can stimulate the release of digestive enzymes‚ helping you digest the food you eat more quickly by moving it throughout the digestive tract. Its oil components also work to stimulate the production of bile in both the gall bladder and liver. Bile is a bitter liquid that helps your small intestines digest lipids (dietary fats). In addition‚ ginger extract--which is derived from the underground stem (rhizome)--may promote cardiovascular health. 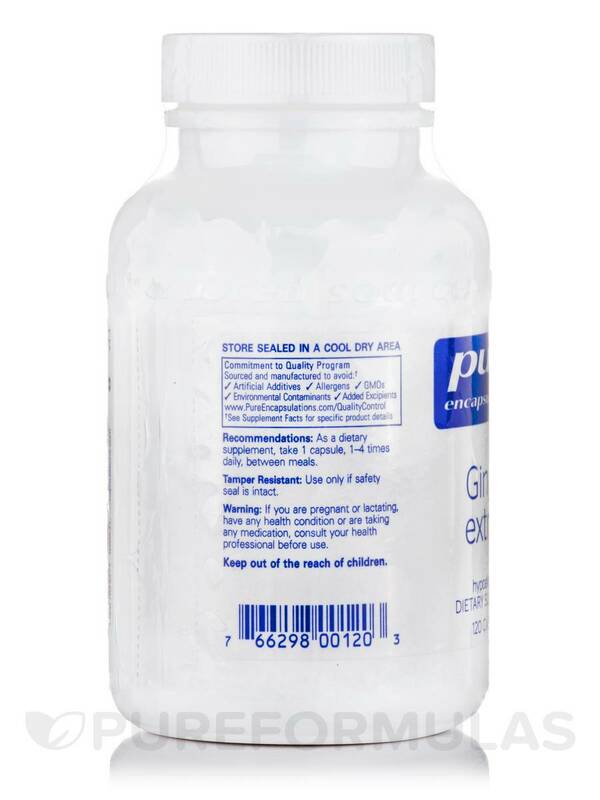 This supplement may support blood flow‚ calcium channel activity‚ and the metabolism of fat and glucose. 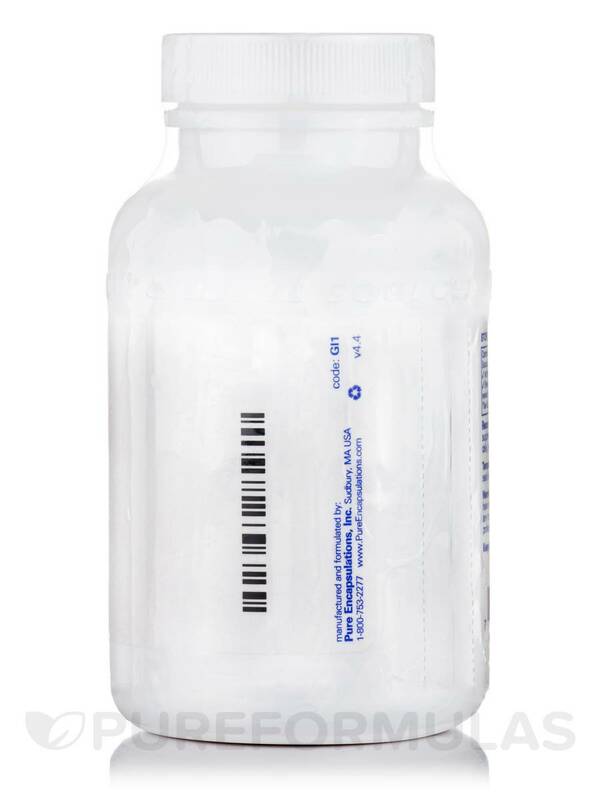 It also help platelets function effectively by maintaining healthy production of thromboxane and leukotrines. 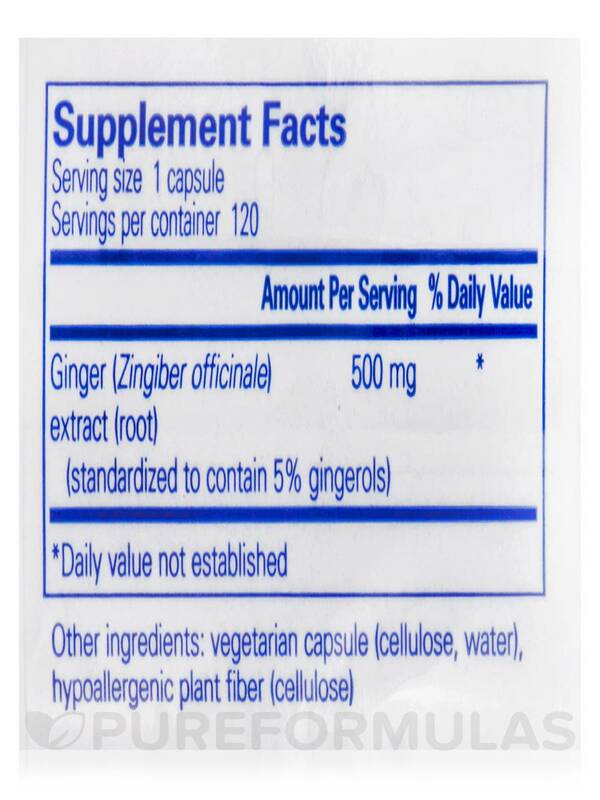 Every capsule of Ginger Extract contains 500 milligrams of the main ingredient. It has been standardized to provide five percent gingerols‚ which are the active component. Gingerols are volatile oil components may have anti-inflammatory properties that also try to alleviate mild joint discomfort or swelling. Take one to four capsules daily for a natural and easy way to support your GI tract‚ in divided doses between meals. At the recommended dosage‚ each 120-capsule bottle of Pure Encapsulations' Ginger Extract should last from one to four months. 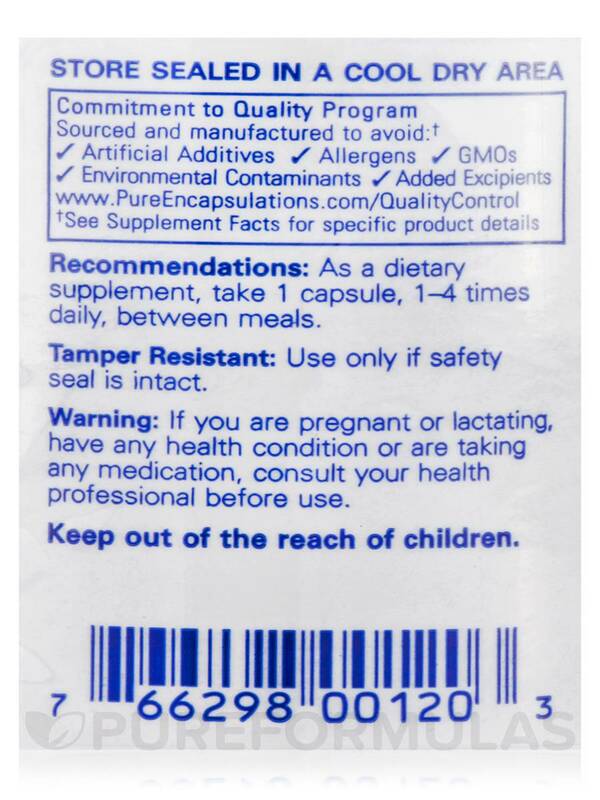 I was recommended this Ginger Extract by Pure Encapsulations by my doctor. It's a great source of ginger extract. I didn't experience any ginger taste after taking it. It's a bit more expensive compared to other brands, but you're paying for the quality. I found the capsule size to be medium to large, and had no problem in taking it. I liked that it had no additives and was allergy friendly.